"Best Value" is a difficult category to select for because it means different things to different people. Some people may consider the best value radio to be a big brand model that is on sale, others may think it refers to radios with a good feature-to-price ratio. We asked around, and according to our very unofficial survey most people think the "best value" radio should refer to the lowest price radios that "will get the job done," so those are the models that we're going to list here. In this case, "the job" is simply going to be to get decent range - not a lot of frills required. 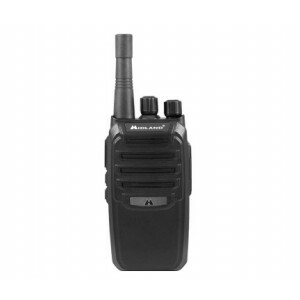 Simplify your business communications with the Midland BizTalk™ BR200 business band two way radio! The BR200 is made for small businesses, organizations and startups requiring reliable radios with simple setup and a very low cost. Take your business radio communications to the edge - the thin edge - with the Kenwood TK-3000 two way radio! With it's thin and lightweight design, TK-3000 hooks onto your belt without dragging it down. It's so thin, you can even slip into the pocket of a coat!